Farnham Royal Parish Council is made up of 11 councillors, all independent, elected every four years. If a vacancy occurs during a term then (if a poll is not called within a statutory period) the remaining councillors can co-opt new members to fill a vacancy. The post is unpaid and councillors give their time on a voluntary basis. There are 10 Council meetings each year, which are open to the public, with time allowed for public comment. A variety of parish issues are discussed but there is much that is done outside the meetings in working groups. The Council has recently taken on a number of devolved services from BCC including grass cutting of roadside verges and maintenance of street furniture and weedkilling along footways. Please contact the Clerk for details of our grass cutting policy. Many of the initiatives to improve life in the villages are also due to the Council – for example, the flowers and Christmas lighting as well as Carols on the Green. The Council also works closely with the District and County councils with regard to environmental issues, traffic management, road safety and highway maintenance; and the police with regard to neighbourhood policing. Remember you can call the parish clerk or any of the parish councillors to discuss problems or comment on village issues or contact us via this website. Joined the Parish Council in 2016. Member of the Parish Council since 1999. Lived in Farnhams for more than 25 years. Company director. Joined the Parish Council in 2008. Resident for 25 years. Retired head teacher and member of Farnham Common Tennis Club. Joined the Parish Council September 2014. Businessman in ceramics retail. Member of Farnham Common Sports Club. Joined the Parish Council in 2015. Joined the parish council in 2009. Moved to Farnham Common in 2001. Research and development analyst. Joined the Parish Council in 2017. Joined the Parish Council in September 2018. Get in Touch. To write, ring or email the Parish Council or your Councillor, click here. Which Council? You can also check here to identify the right Council for your concern. Join our email list to receive newsletters and news articles from our website. 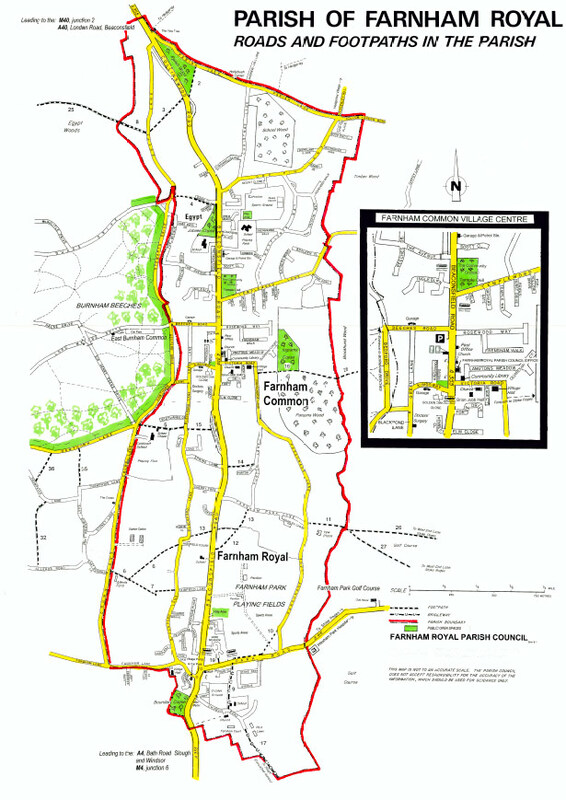 The parish of Farnham Royal includes Farnham Common – and locally they are known as The Farnhams. Parish Councils are relatively recent. Until 1894 the affairs of the parish were administered by vestry meetings held monthly in the church after Sunday morning service. Originally they were responsible for the appointment of the village constable, the repair of the roads, the welfare of the poor, and the church. After several legislative changes the Local Government Act of 1894 introduced parish councils which have remained largely the same since that time. The aim was to give everyone who paid domestic rates a voice in the election of parish councillors and benefit from the decisions taken. Whilst the Parish Council looked after the civil side of the parish affairs the ecclesiastical matters were handled by the parochial church council. The first meeting of Farnham Royal Parish Council took place in the school in Church Road with an attendance of over 100 residents. Looking back over the minutes over the last century the issues raised are not too different from today including water, mains drainage, postal deliveries, motor traffic, road safety, mineral extraction and open spaces.